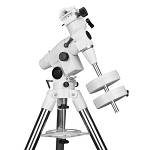 Among all the Sky-Watcher equatorial mounts, EQ1 mount is the most suitable for novices for its portability and ease of operation. 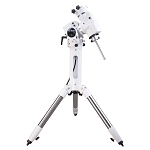 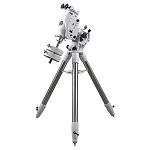 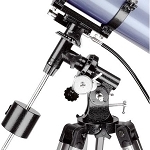 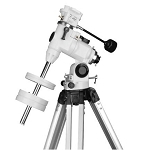 It is perfect for smaller and lighter astronomical telescopes and its two slow-motion cables allow precise tracking of celestial objects. 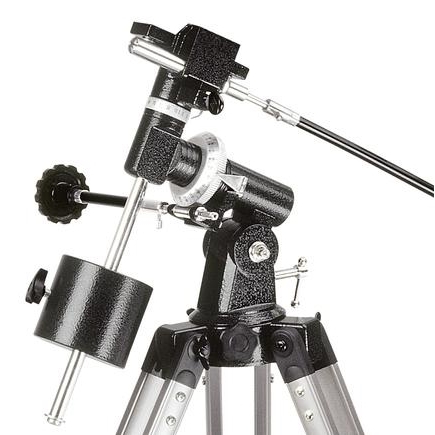 EQ1 is supported on aluminum tripod with adjustable legs and convenient accessory tray and may be fitted with a single axis motor drive for automatic tracking.